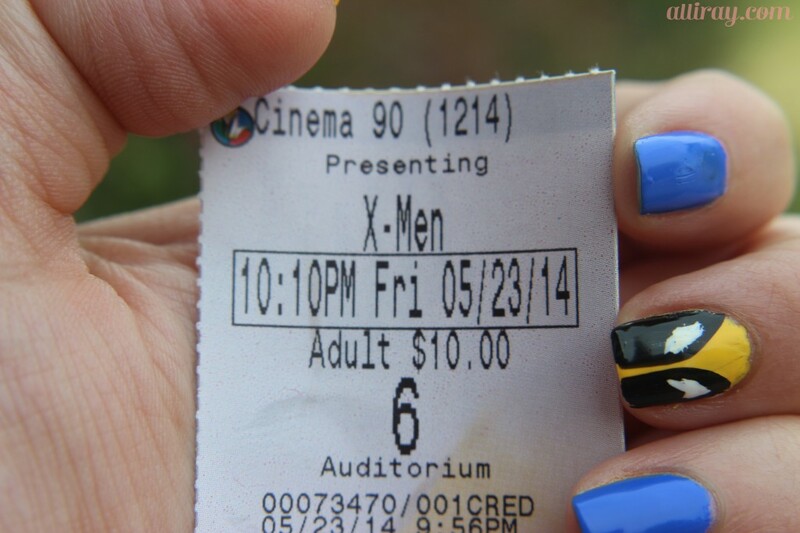 So, who’s seen X-Men Days of Future Past? We have! 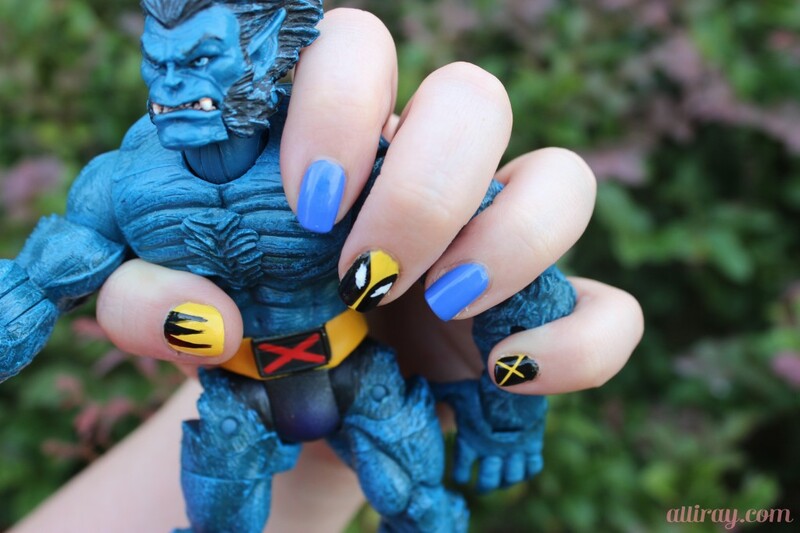 The X-Men have been Ray’s favorite since he was a boy, so over the last 3 years I’ve learned A LOT about mutants. Seriously, ask me about Jean Grey and Scott Summers’ relationship. Or ask me about how Cable is from the future. 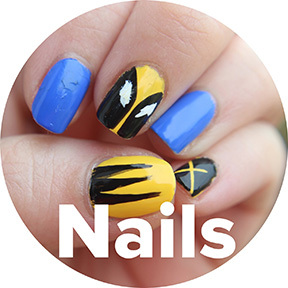 You’ll probably surprised and impressed by my answers… unless you’re super knowledgeable on X-Men and then you might be disappointed. 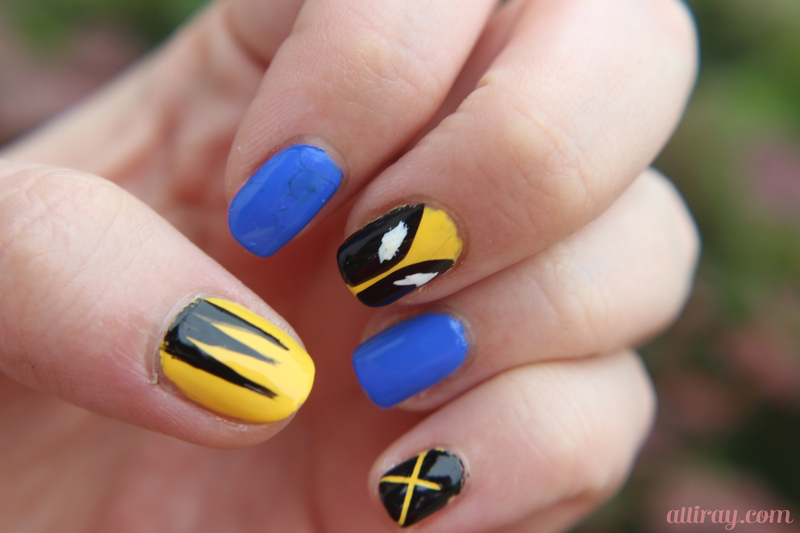 About a year ago I attempted X-Men nails and failed miserably. 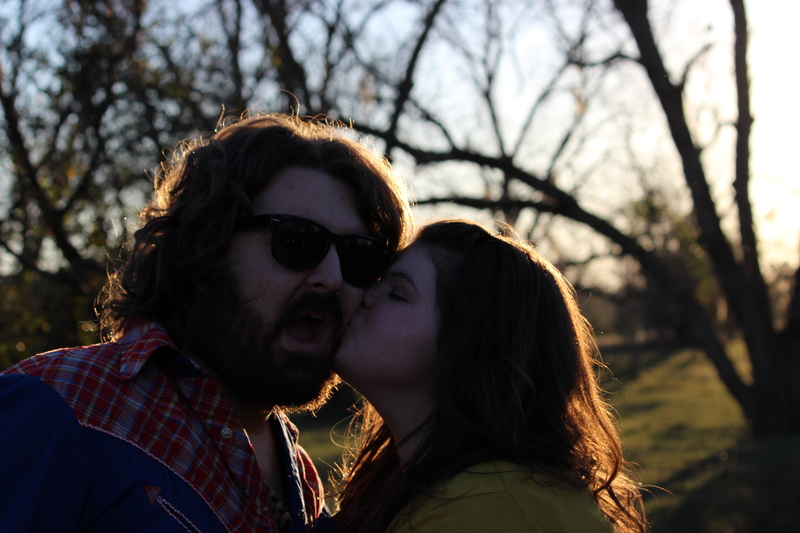 I wish I had photo evidence of the catastrophe, but I know I immediately removed the polish after completion. These turned out so much better than last time! 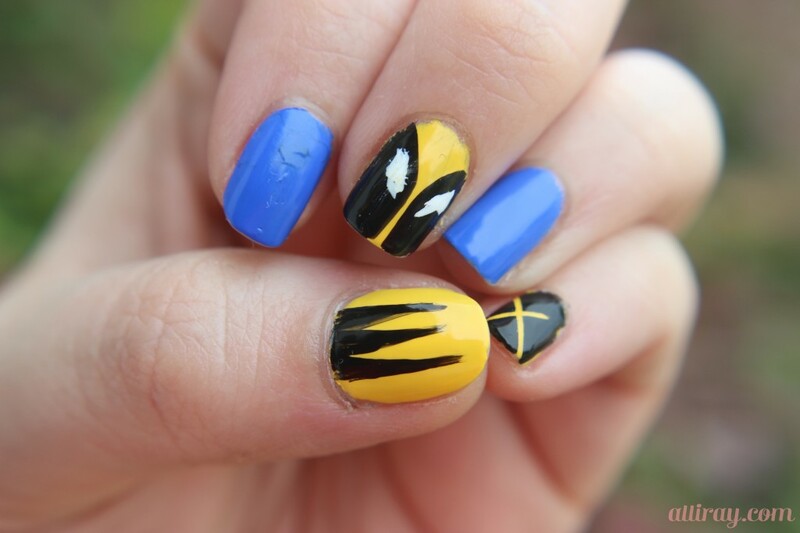 This entry was posted in nails and tagged marvel, nails, wolverine nails, x-men, x-men nails on May 26, 2014 by allison.